Fly a flight simulator with a pilot, turn a wrench on a jet engine with a mechanic, evacuate an aircraft with a flight attendant, students had the opportunity to try their hand at all three at the eighth annual Alaska Airlines Aviation Day today. 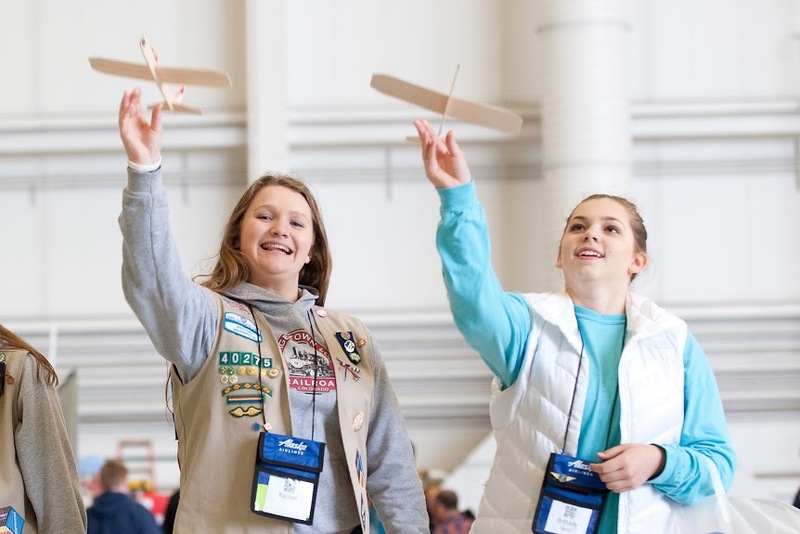 More than 1,000 Seattle-area youth gathered at the Alaska Airlines hangar in SeaTac May 21, to learn about careers in the aviation and aerospace industries. Each year, Aviation Day aims to show youth a path to a rewarding career in the aviation field by allowing them to interact with industry professionals. For Cassino, the Aviation Day mission is working. Last year Alaska Airlines hired its first employee, Brendan Cray, an Alaska line aircraft technician, who found out about Alaska careers during Aviation Day 2011. Jazmin Chavez, a student at North Middle School in Mill Creek, Washington, says she hadn’t really considered a career in aviation until attending this year’s Aviation Day. Now? She’s thinking she’d like to be a pilot. “They have all the responsibility – I like things like that,” Chavez said. This year, students from local high schools, the Boys and Girls Clubs, Boy Scouts of America and Girl Scouts among others, tested their mechanic skills, learned to get an aircraft ready for preflight, flew an Alaska Boeing 737 simulator, toured military aircraft, built gliders with Boeing engineers. They learned about the wildlife around Sea-Tac Airport, simulated an aircraft evacuation with Alaska flight attendants and learned about careers at Alaska, Horizon, Boeing, The FAA, U.S. Military and the Port of Seattle. Nearly 250 Alaska and Horizon employees volunteered. Chavez says she liked how realistic the different activities were – she felt like she was really getting a first-hand look at what a future career might look like. Scott Burdeaux and Teresa Rignoni, from Alaska’s maintenance and engineering department, designed a massive 11-part hands-on “Maintenance Experience” activity for the students in the hangar with the help of the maintenance department. Aviation Day participants had the opportunity to turn wrenches, look inside jet engines and learn how some of the complex 737 systems work. Alaska First Officer Erin Recke said she volunteers because she completely supports the Aviation Day mission. Students also had an opportunity to tour aircraft including an Alaska 737, a Horizon Q-400 and several military aircraft. A similar event was held in Portland on May 14, and in Fairbanks on May 21. 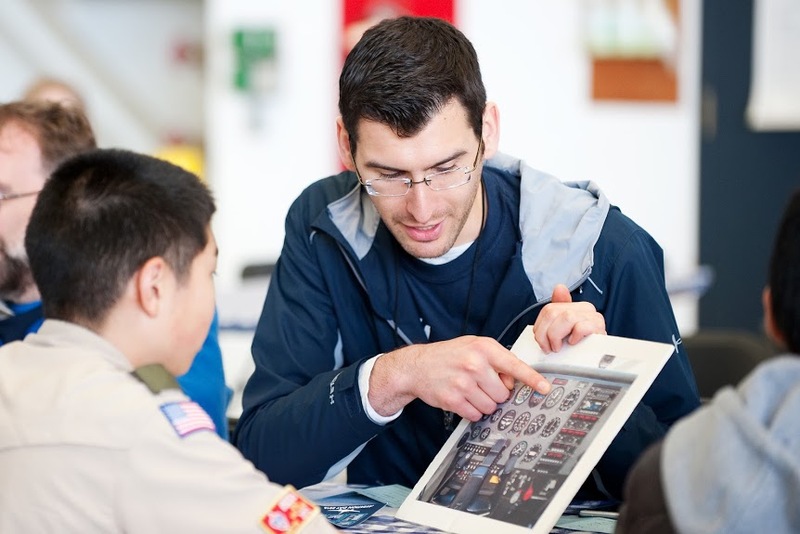 3 comments on "Aviation Day: 1,000 kids get a behind-the-scenes look at Alaska Airlines"
I was wondering when will your next event will be at? And where? In addition, when will you folks will be having a career fair. I’m a pilot and I’m looking for an opportunity to work with you folks. An opportunity to work for Alaska Airlines has been a long dream of my. I hope to hear from you back soon..
How do we find out about Aviation Day 2017 and how do we register to bring students? Thanks! would love to have one of these for adults!! You know, us antsy fliers who are control freaks in disguise. If I understand how things work, I am much more comfortable with them! !